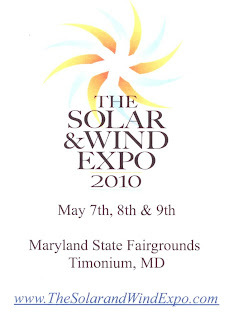 Visit our booth at the Solar and Wind Expo! 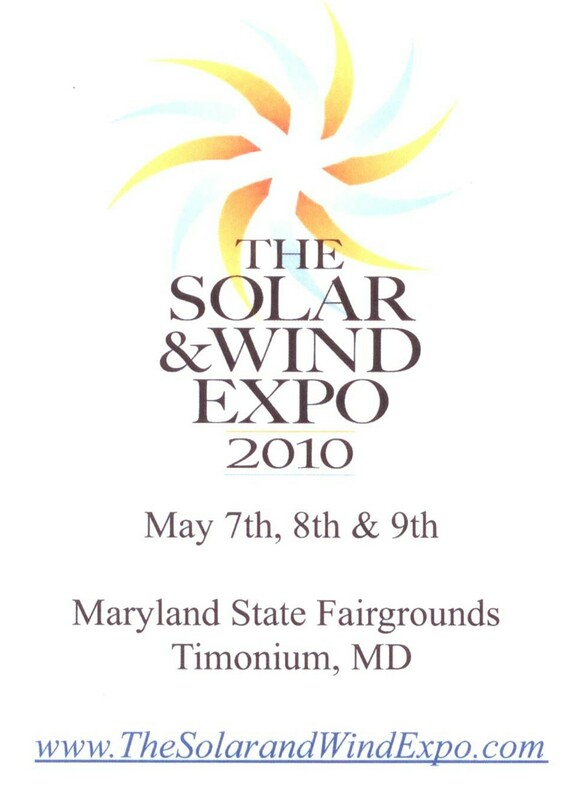 The Expo will be held at the Timonium Fairgrounds May 7 through May 9, located right in the heart of the Baltimore/Washington metropolitan area. With numerous new government incentive programs and exciting technological innovations in the industry, now is the perfect time to integrate green technologies into your everyday life, both reducing your carbon footprint and saving money. A raffle will be held at the expo with a $1.9 million solar, near-zero-energy home as the Grand Prize. The raffle has been assembled to help keep “TV worth watching,” Maryland Public Television, in the community. First Prize is a 2010 Honda Insight hybrid vehicle. Tickets go are on sale for just $100 each online www.mptgreenhomeraffle.com. Selfridge Custom Builders constructed the Grand Prize dwelling located in Clarksville, in Howard County. Its features include LEED-certified "green" construction, a 70% reduction in energy costs over its lifetime, a solar photovoltaic system capable of providing a lifetime of free electricity for the homeowner, a solar hot water system, a whole-house air purification system for healthier indoor air quality and CREE LED lighting (provided by Dominion Electric Supply! ).